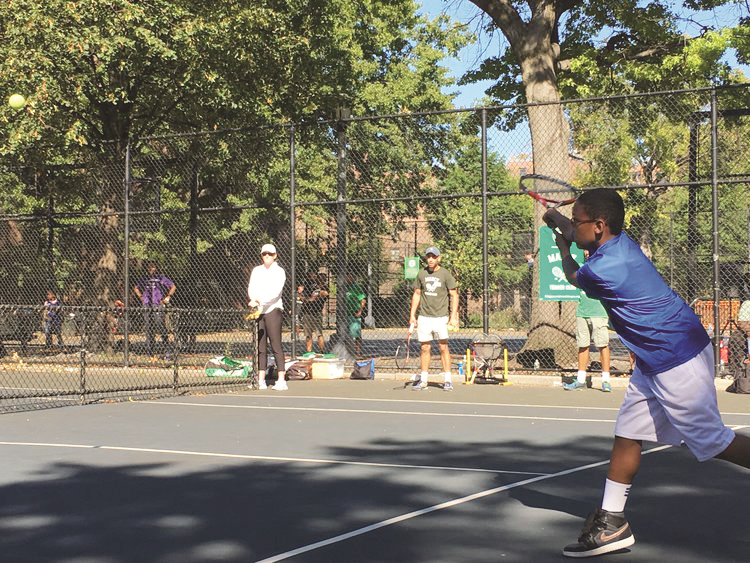 The growth of tennis in New York City has always been, and always will be, dependent on people in the community identifying a need, and deciding to do something about it. 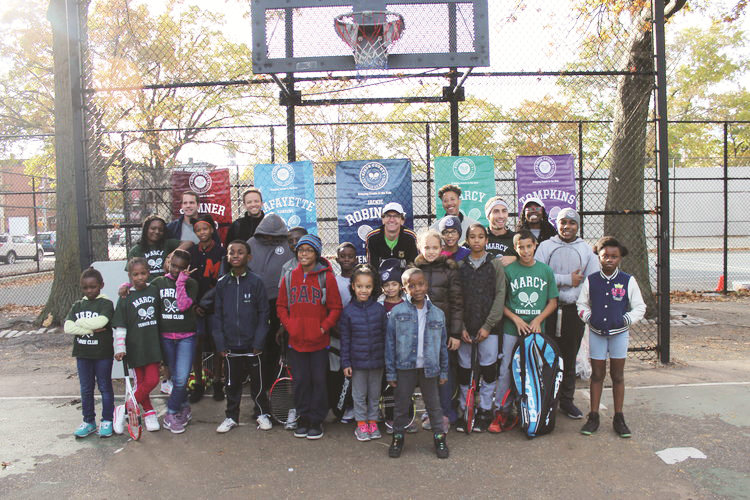 One of the most prominent examples of this can be found in the Kings County Tennis League (KCTL), which was founded by Michael McCasland in 2010 and whose vision is to bring tennis directly to kids as a tool for youth development and community building. When McCasland moved to the Bedford-Stuyvesant neighborhood of Brooklyn after taking a job as a DNA Forensic Scientist for the City of New York in 2010, he noticed a tennis court near his apartment and adjacent to the Marcy Houses Housing Development was in terrible shape. With that idea in mind, McCasland began to take matters into his own hands and started posting handwritten flyers around the neighborhood and trying to assemble a group of local kids who would be interested in free tennis instruction on Saturdays. As word got out about the program, young professionals from the area began coming forward to volunteer, and little by little, the program grew. To date, KCTL now has over 120 active volunteers in the organization. One of those volunteers is David Webley, who began volunteering with KCTL in 2016, and knew immediately it was something he wanted to continue to be a part of. That vision has helped KCTL grow at an incredible rate over the last eight years. What was once just one program at the court near the Marcy Houses has expanded to five public housing developments located in central Brooklyn, with programming being added to: Tomkins House, Lafayette Gardens, Summer House and the Brevoort Houses. At a few of the locations, the organization either renovated the courts or created them completely from scratch. Each location serves as its own “tennis club,” with all five of them together forming the Kings County Tennis League. What began as a seasonal program has now become a year-round one, offering after school programs at Marcy Houses in the fall and at the Pratt Institute in the winter, serving over 150 children. 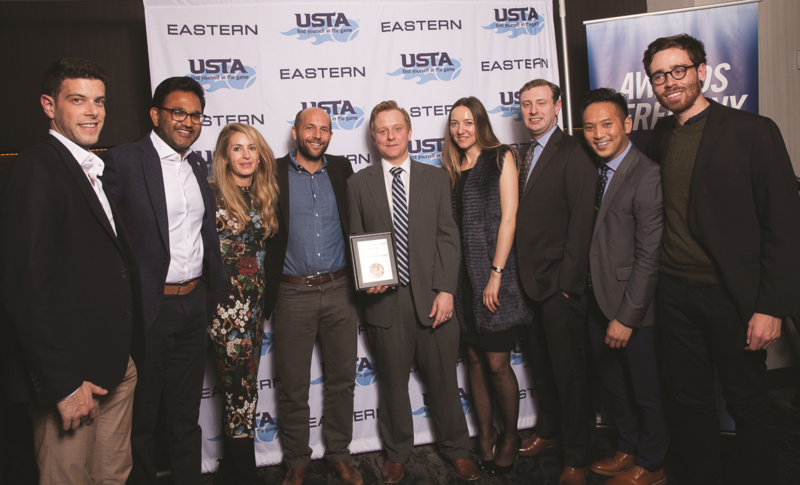 As a result of their dedication and commitment to growing the game, and using tennis as a tool for underprivileged children to grow, KCTL was named the USTA Eastern 2017 Member Organization of the Year at the annual USTA Eastern Conference in January. The work done by the KCTL has had a remarkable impact on the community in which it operates, and it is not done yet. Just this past year, KCTL introduced a Go Girls Go Program to encourage female participation, and an Upswing Program for the more committed students. Those two initiatives are the first phase in launching a KCTL Academy, which is set to be launched in 2019.